Change up your style daily with the versatile Born Laguna boots. 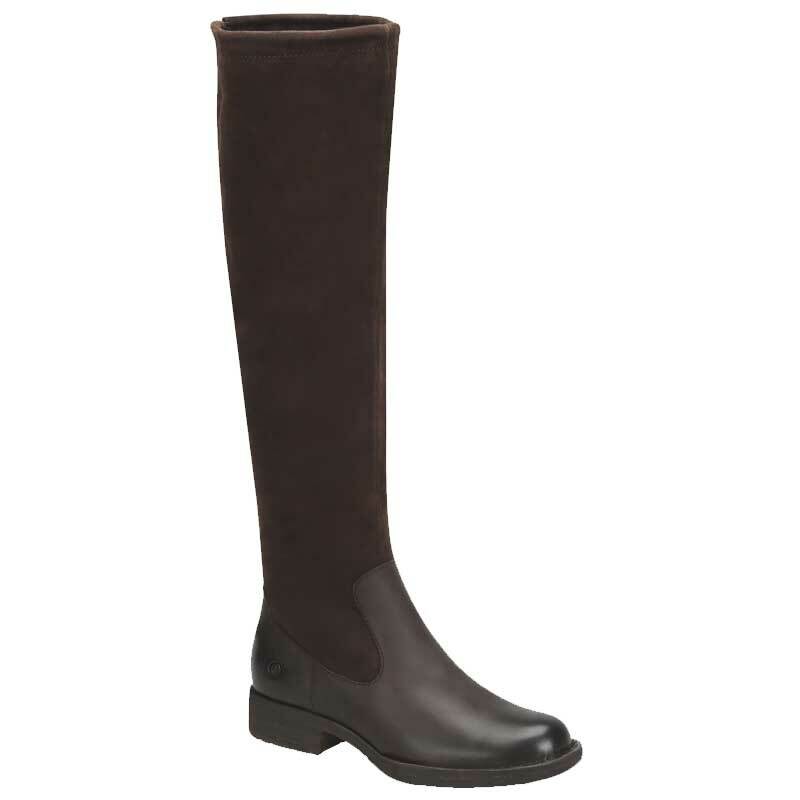 This women’s tall boot can be worn all the way up for a knee-high look for slouchy when you want to change it up. A full grain and distressed suede upper offers out-of-the-box comfort and an interior fabric lining wicks moisture away from the foot. Born’s Opanka construction makes the Laguna durable while still allowing for a lightweight and flexible step. An adjustable back-tie adjusts to your calf size and a rubber outsole gives you traction for a confidents step. A stylish riding boot with comfort that doesn’t quit is what you need this fall and that’s what you get with the Born Laguna.